Wulzburg is a historical fortress of the Renaissance-Age in Germany. It stands on a hill 200 metres above Weißenburg, at an elevation of 630.5 metres and was originally a Benedictine monastery dating from the 11th century. 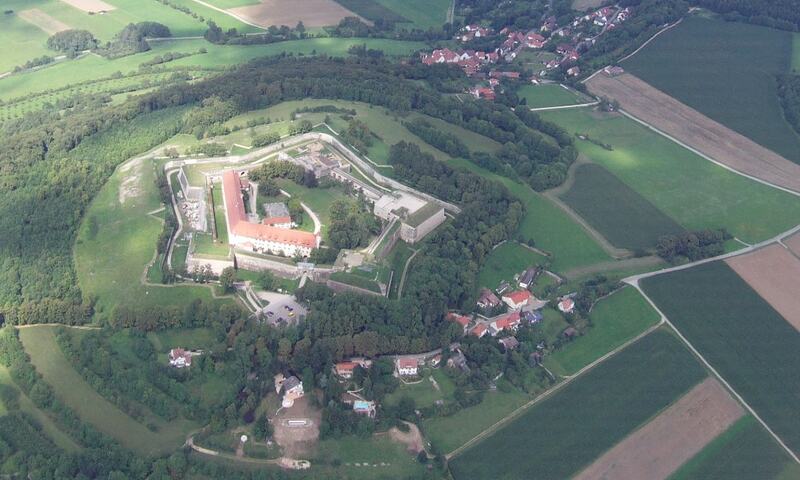 It is one of the best-preserved Renaissance fortresses in Germany. In the 19th century it was an garrison of the Bavarian Army. During World War I, Charles DeGaulle was imprisoned at the Wulzburg. The Nazis also used it as a prison camp during World War II.